Hanoi (VNA) - Hanoi athletes win up to 30 percent of Vietnam’s gold medals at international events, and they are expected to do the same in the upcoming Southeast Asian Games (SEA Games). At a recent meeting with the players, To Van Dong, Director of Hanoi’s culture and sports department, encouraged the capital city’s athletes to continue performing well at the SEA Games in Malaysia, which will kick off on August 19. Hanoi is the country’s leading sports hub, and in the SEA Games, around 150 athletes from the capital city, which is one-fourth of the delegation, will compete in 24 events. The sportspersons have received strong support in the form of training and competitions to sharpen their skills months before the events. 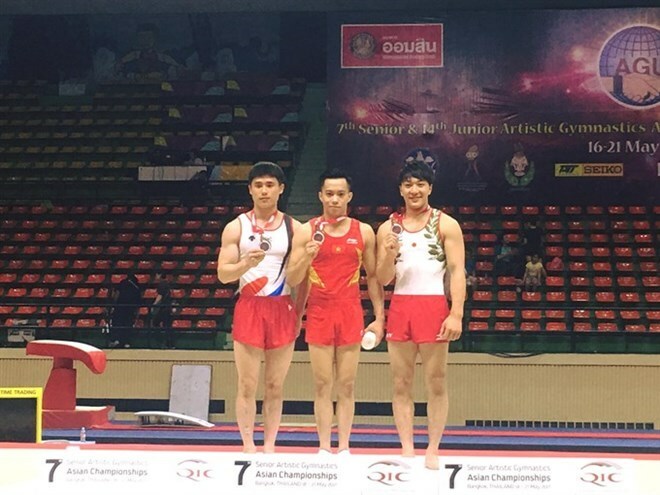 Many of them, such as fencer Vu Thanh An, gymnast Dinh Phuong Thanh and taekwondo fighter Ha Thi Nguyen are expected to deliver outstanding performances in Kuala Lumpur. Athletes in archery, athletics, cycling and karate also have a good chance of bringing home golds. At the previous Games in Singapore two years ago, Hanoi’s competitors grabbed 25 of Vietnam’s 73 golds. Dong wished all participating athletes from Vietnam in general and Hanoi in particular their best for the Games.